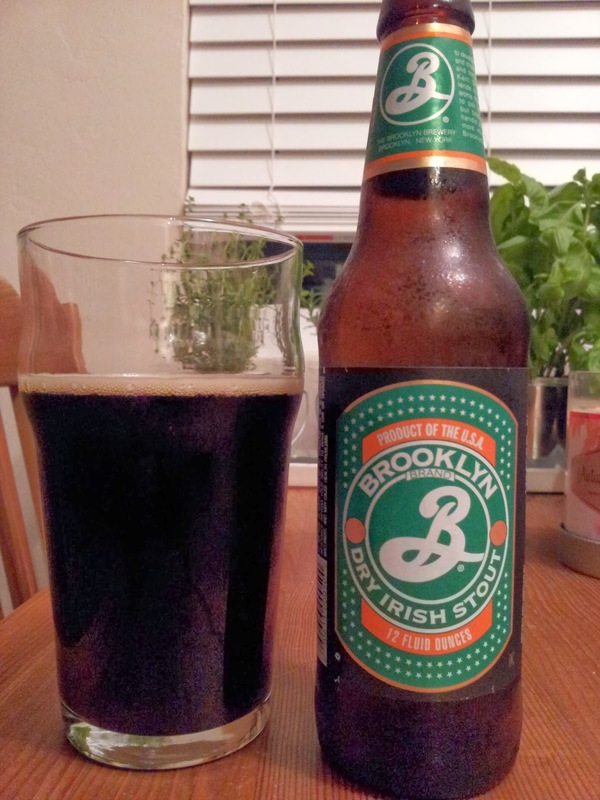 We don't get much from Brooklyn Brewery around these parts. Given that their brewmaster, Garrett Oliver, wrote the most awesome book about beer I've ever seen (The Oxford Companion), I usually try and pick up their beers if I find them. So their Dry Irish Stout made it back with me from Chicago. It's dry... and an Irish stout! A shocker, I know, but it shouldn't be because the style is not supposed to be hefty, like an imperial stout for example; it's meant to be sessionable. And, yes, this could definitely be sessionable because while it has strong notes of roasted malt/dark chocolate and coffee accents, it also has very low body and is quite dry. It's well crafted and nothing is wrong with it; but, it doesn't offer anything you can't find in a bottle of Guinness. I would definitely drink this on nitro, although that's even harder to imagine finding around here.